Oh my God, Im Shattered ! Well Im finally here, our dream of discovering EMS across the Atlantic has now become a reality. Tonights additions are going to be short and sweet as I have been up now for 24hrs and I need to get some sleep, however, I have managed to get some photos on Flickr and a short video journal on our Youtube Channel. Click on the links to the right there. 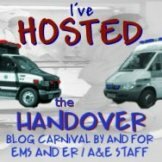 Dont forget to check in on The Chronicles of EMS too. Meeting the SFFD Chiefs tomorrow, so should be interesting. I promise I will be more awake tomorrow night and hopefully the hotel wi-fi will be sorted out so that I dont need to sit in the office behind reception to do this!! « The Project Has Started!! Sleep well Mark,We're all looking forward to your updates and remember…look left before crossing the road!…When I was over in the UK last year I was forever looking the wrong way and almost got hit half a dozen times. Welcome to the states. Have a great time. The helmet is really cool. I hope you can get some sleep. Why Aye Geordie, you made it. The jet lag coming this way isn't as bad as it will be going back so you should be back on your feet in no time. Excellent idea on the helmet at the airport. I was wondering how you guys were going to figure out the pick up. Now the pressure is on for you to find something equally cool when Justin goes to England. You're going to love San Francisco, I still miss it. The good news is that there are plenty of good Irish bars down there that have good beer so you don't have to settle for the tat they call beer over here :)Looking forward to watching & reading all about the adventures. Good luck to you both. Stay safe out there.